The holographic technology that creates 3d images in mid-air. We are in the advertising business. 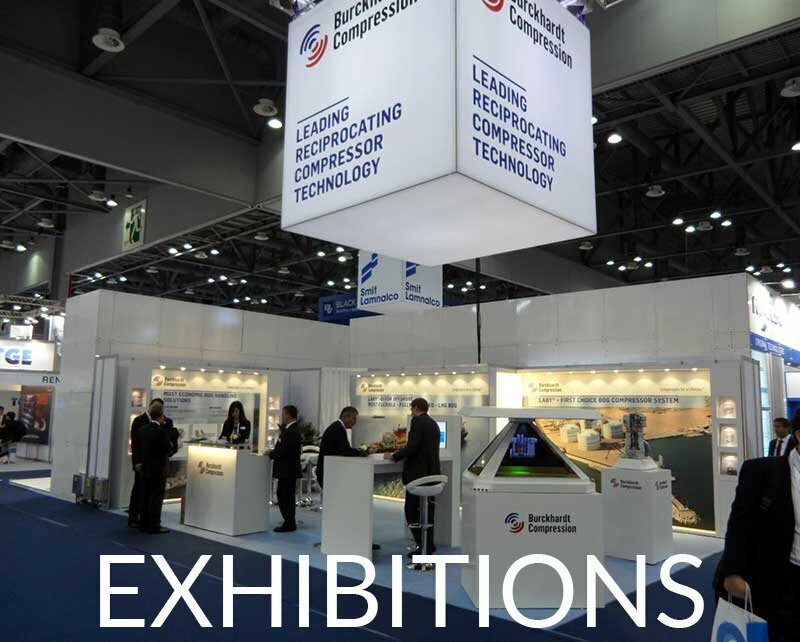 From small holograms to big events and exhibitions. Create your business strategy. Olomagic is a holographic displays that generates three-dimensional images in mid-air. The display can be customized according to the needs of your company. At the same time we can combine three-dimensional images with real physical objects. 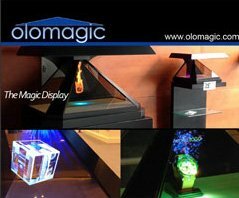 Olomagic introduces a new dimension, a new way of marketing and communication, that conveys an impressive message to the customer or spectator. 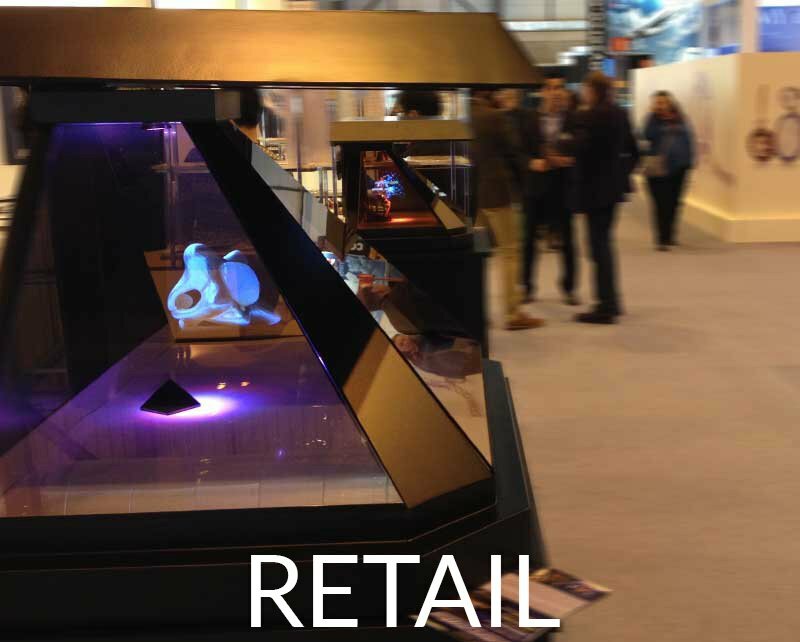 Olomagic offers a variety of possibilities and can be used, for example, in retail establishments, conferences, shopping centres, museums, airports and events. The Olomagic display is available for purchase or rent. Our team will offer you advice, personalizing and adapting the product to your needs. 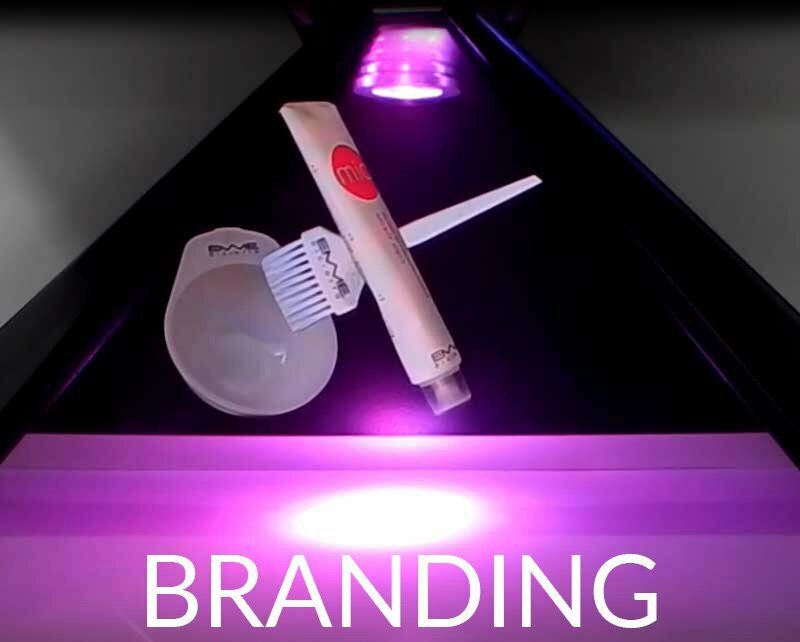 In addition to creating the holographic images, there is also the possibility of incorporating logos and corporative colours. Holograms are a revolutionary way to create publicity. We can create three-dimensional images in mid-air from a small product to a large hologram. The result makes an enormous visual impact on the customer or audience. We produce unique solutions for retail and events. The technology can combine a physical product or people with the use of hologram animation. We have a large range of products and we can even create a solution just for you. The Olomagic displays are available for purchase or rent. Our team will offer advice, personalizing and adapting the product to your needs. Olomagic can help you to create the holographic animation or you can choose one of our free holograms to integrate with your physical product.